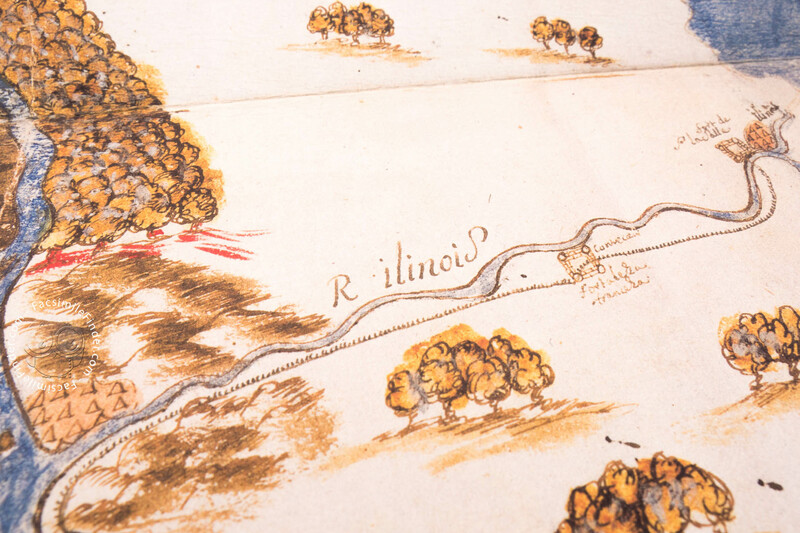 The map shows all the basin of the Mississippi River and its tributary, and on it, all the Indian village settlements are stated. 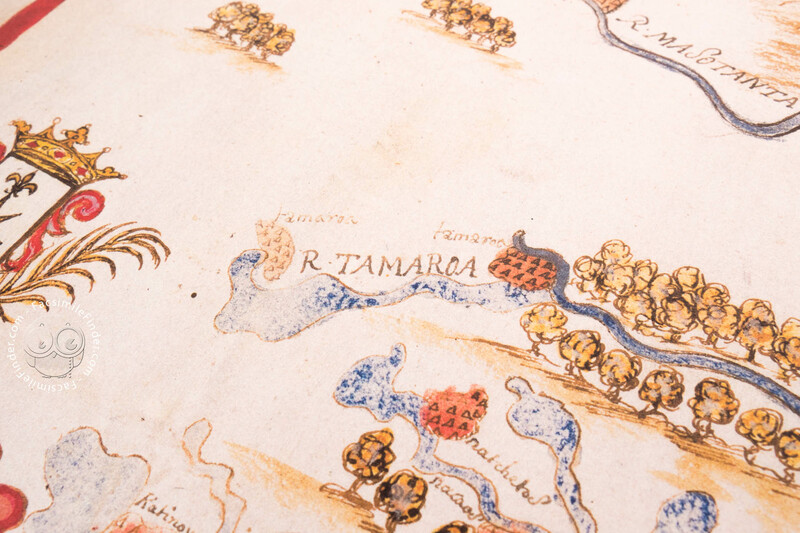 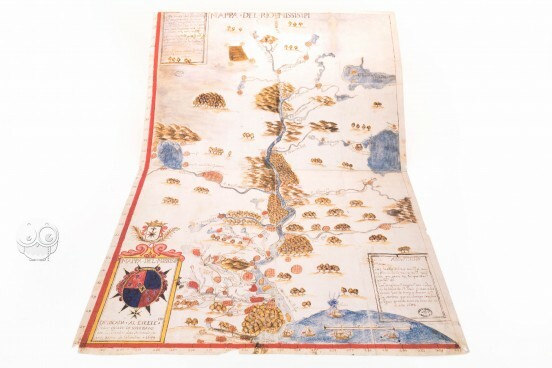 The map was produced between 1682 and 1684 and shows the intention of the French to establish in Louisiana. 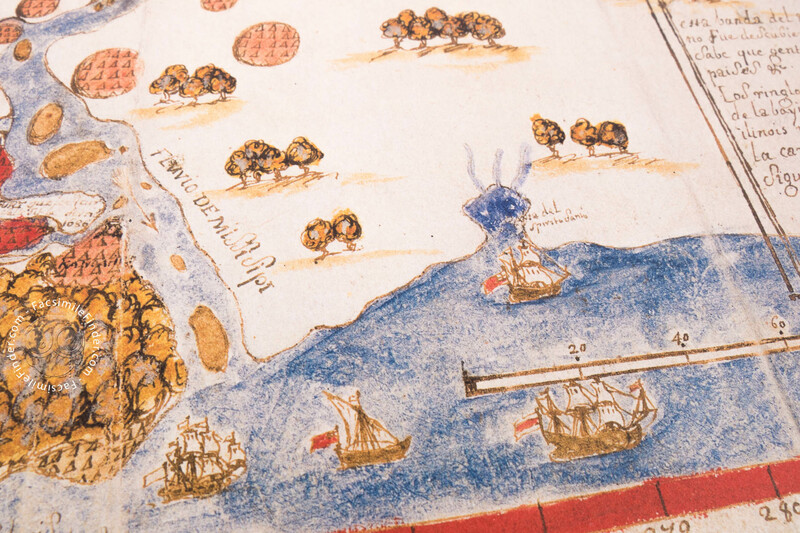 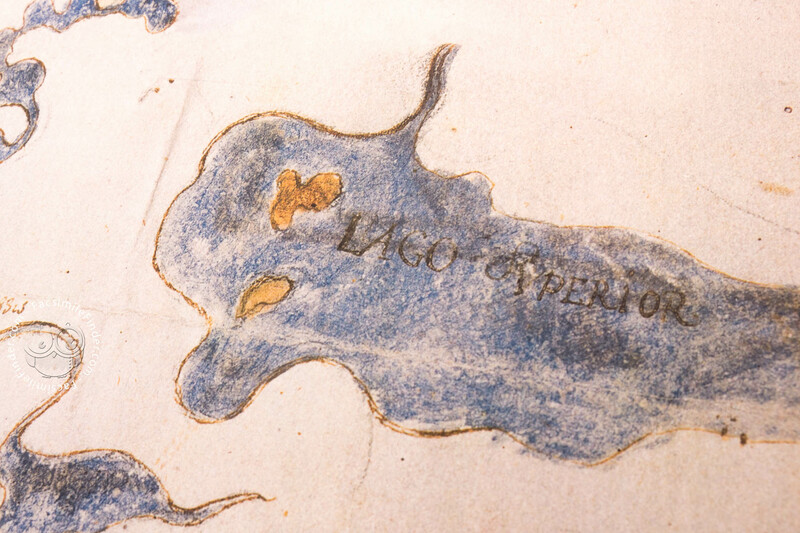 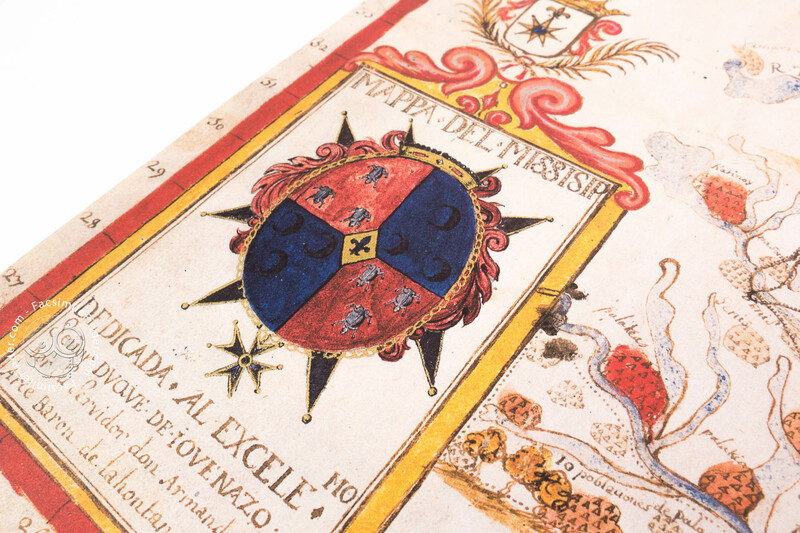 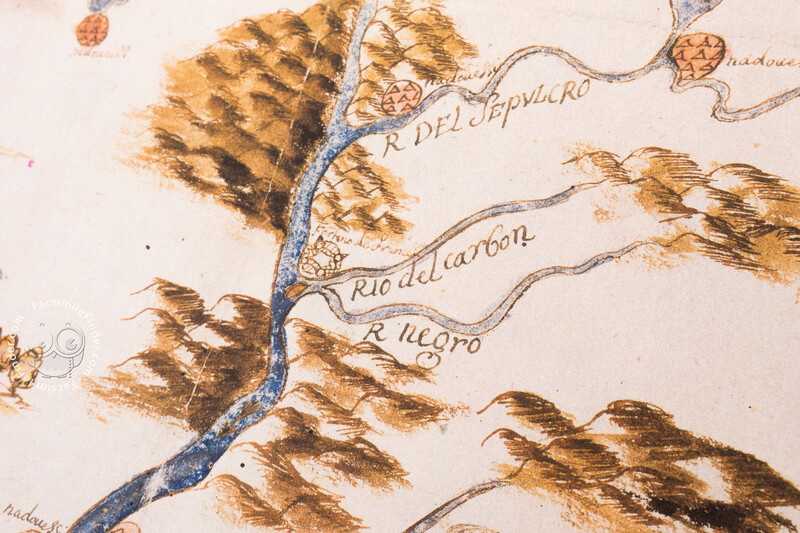 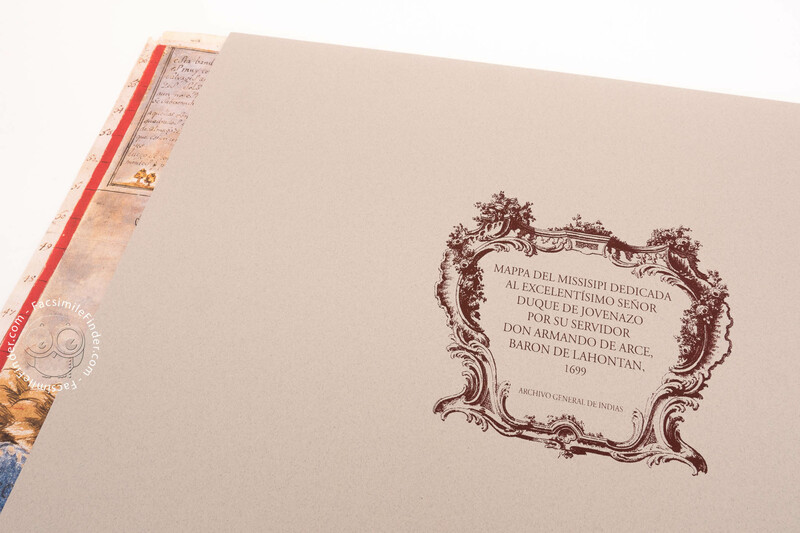 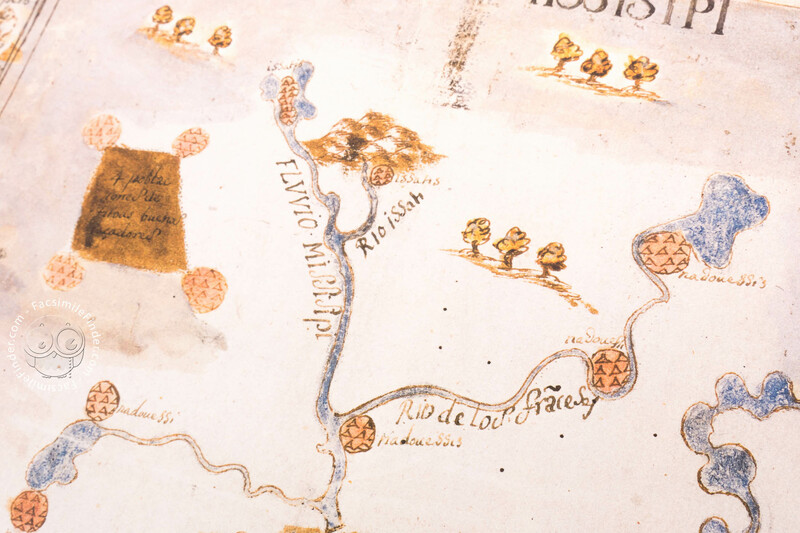 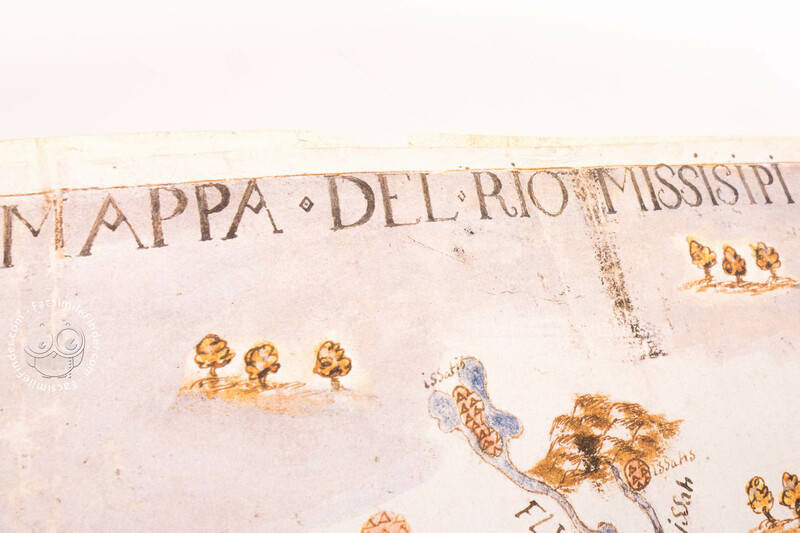 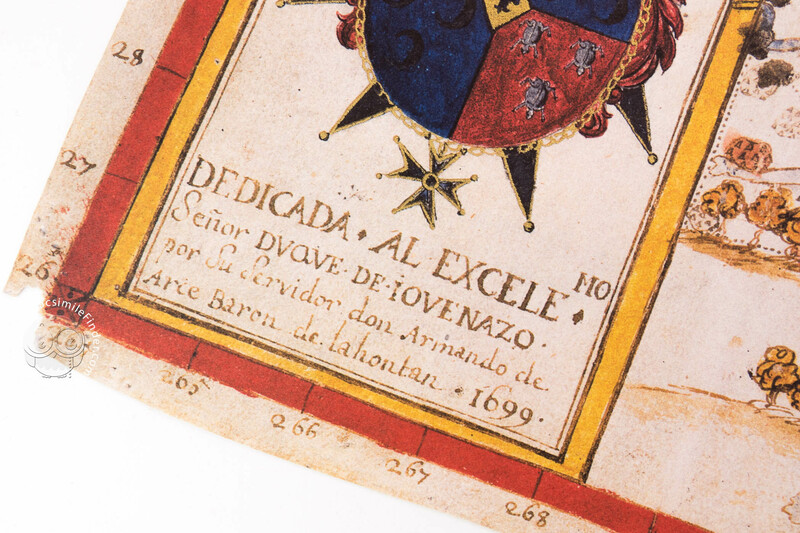 The map is dedicated to the Excelentisimo señor Duque de Jovenazo by Armando Arce, Baron de Lohantan. 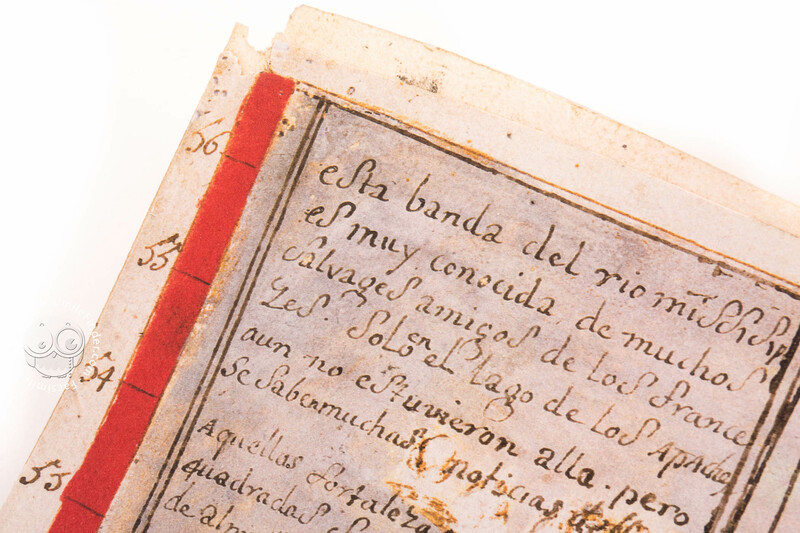 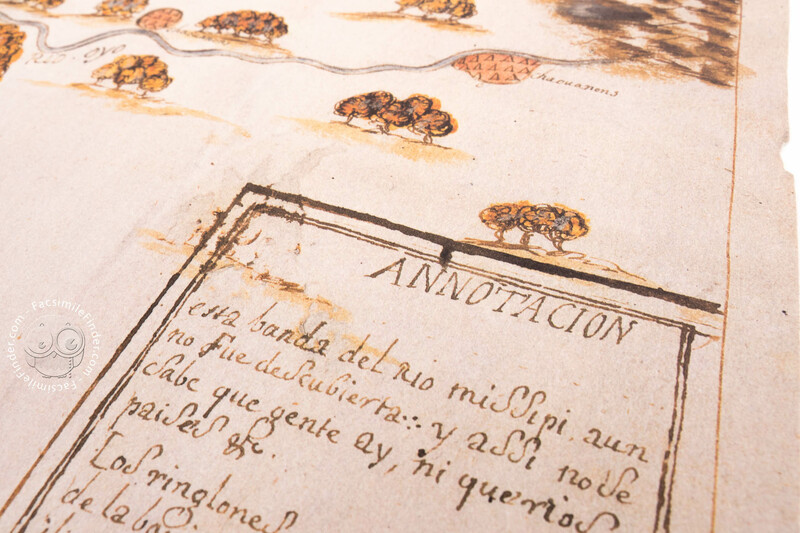 Commentary (Spanish) by Colomar, María A.; Contel Barea, María C.
Full-size color reproduction of the entire original document, Map of the Mississippi: the facsimile attempts to replicate the look-and-feel and physical features of the original document; pages are trimmed according to the original format; the binding might not be consistent with the current document binding. 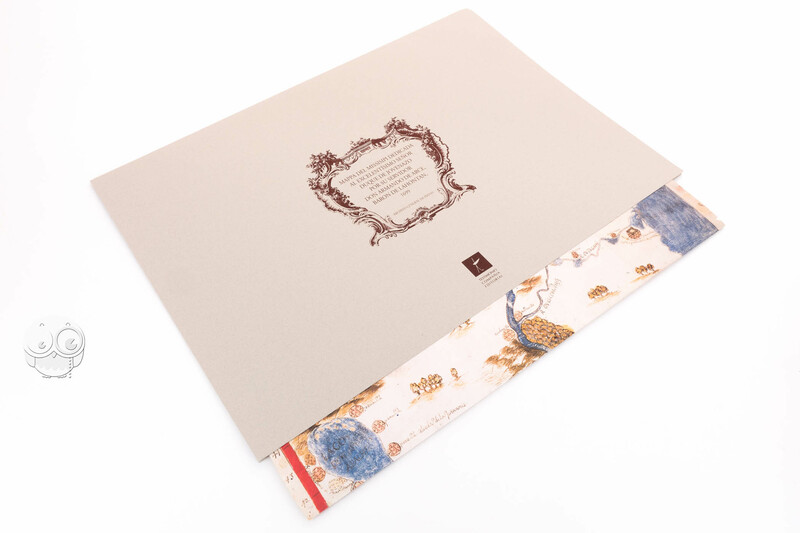 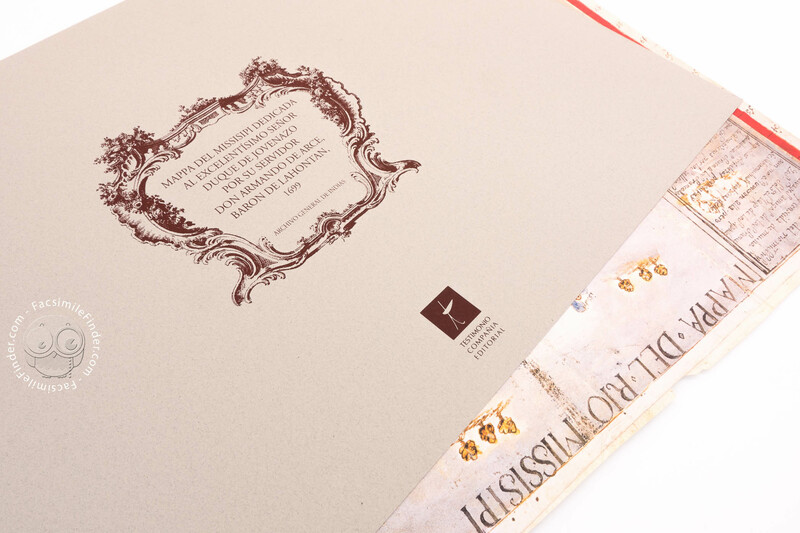 Luxury portfolio silk and gold printed leather.